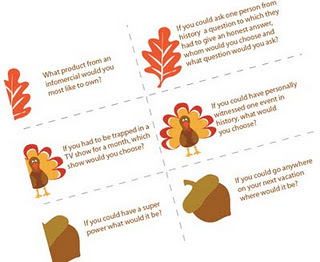 Create fun conversation this Thanksgiving around the table withe these TWO sets of Conversation starters. Click here to download yours now from Family fun. Click here to download your free conversation starters from Skip To My Lou.